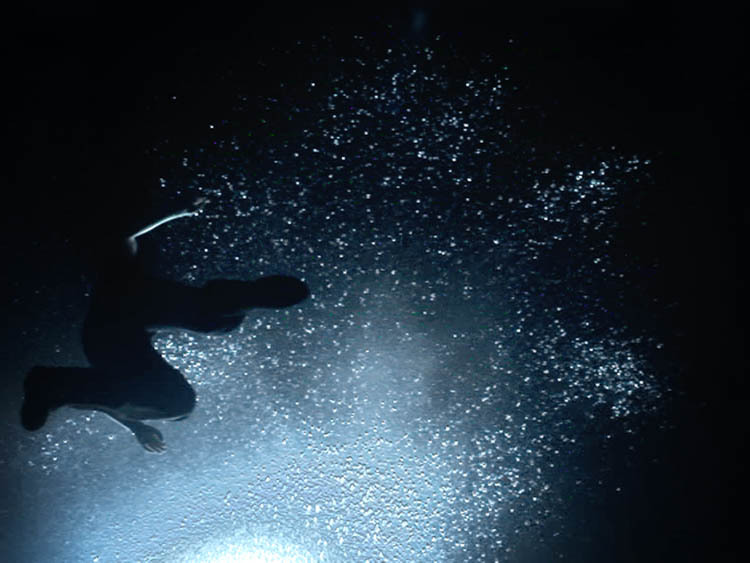 Overground is projected from the ceiling of a dark and tall room onto a transparent canvas that floats horizontally at a height of approximately 2.5 meters. 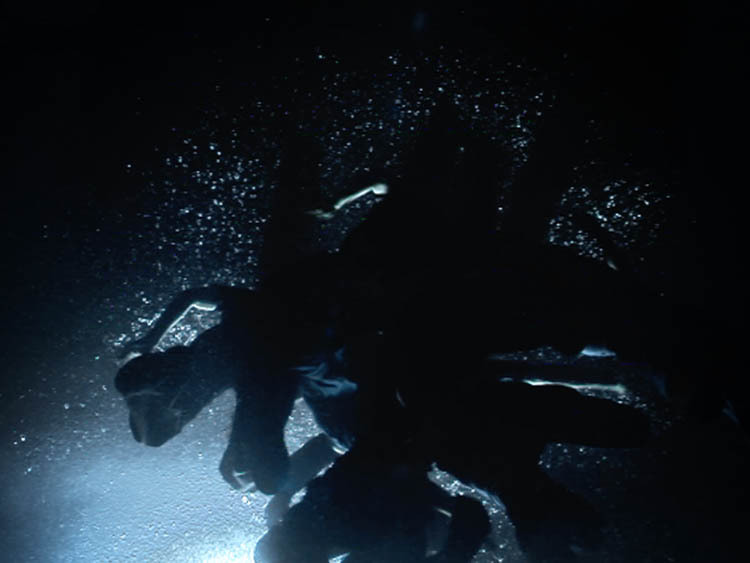 Standing beneath the canvas, one looks up towards a filmed water surface, into which a fully dressed person suddenly jumps, flailing with arms and legs, struggling for stability. 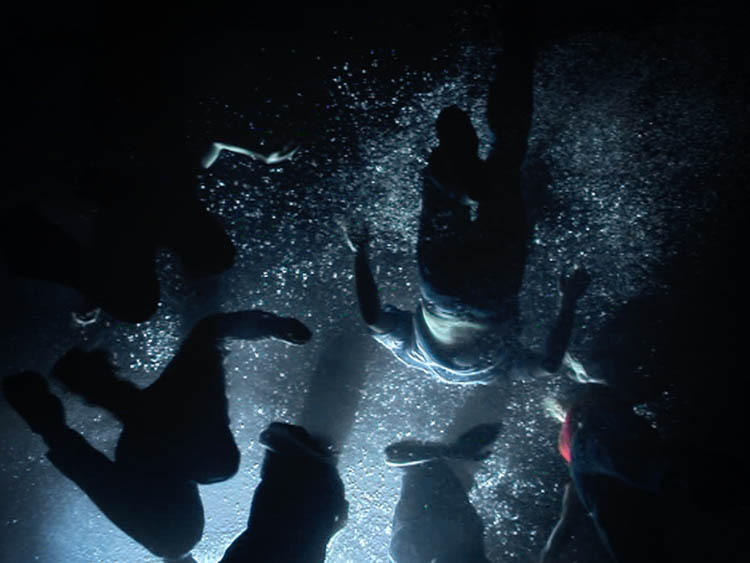 The experience of the video reveals itself from the beginning, and increasingly throughout, as an imposition. The continuous upward gaze alone requires an unfamiliar effort. 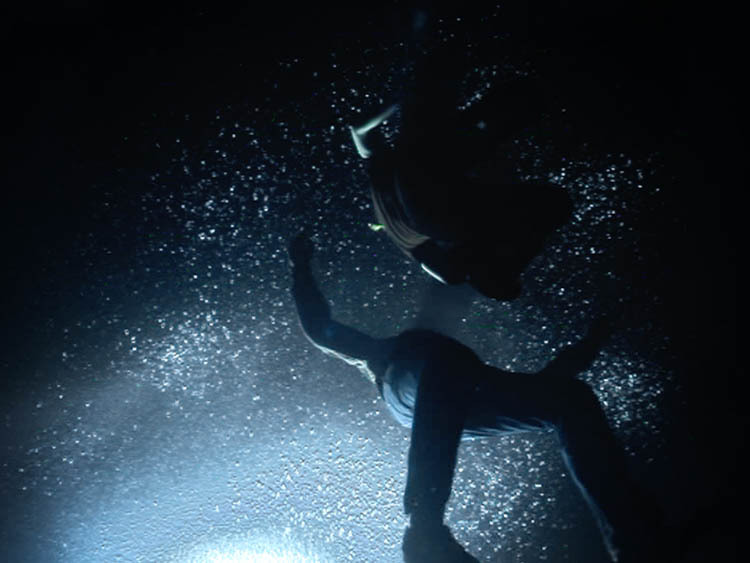 The fact that one looks from below into a body of water upwards and inwards, whose quantity and extent cannot be measured, increases the discomfort. Eventually, the incessant, indistinct noises, vibrating loud and hard, seem oppressive. 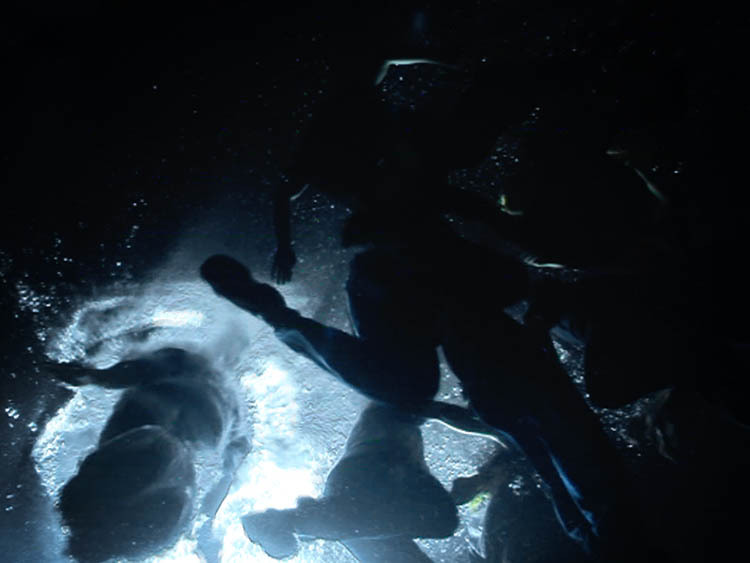 These noises change as soon as a more people jump into the water at intervals of approximately two minutes, which makes the event even more dense, animated and complex. 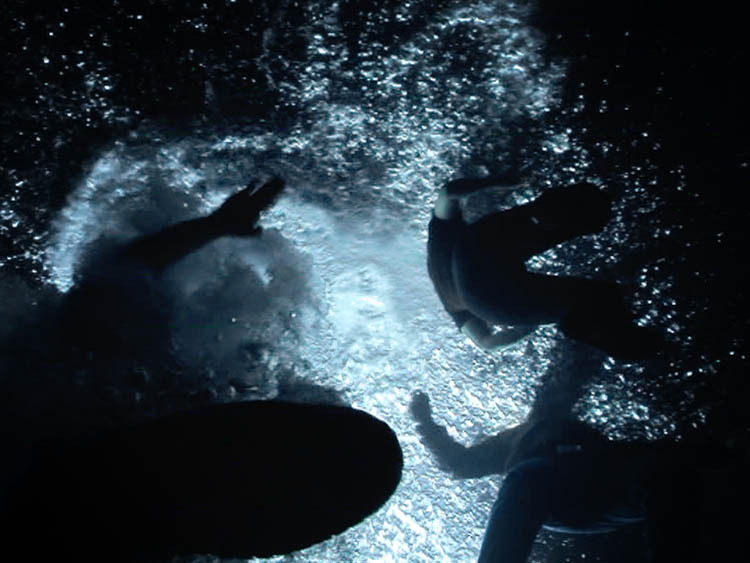 The more people find themselves thrashing about and grasping for stability in the water, the less hard and intense the sound accompaniment gets. It is based on computer-generated tones and amplifies the massive pressure originating from the water; visual and acoustic triggers consequently complement and enhance each other.